Watch Kevin Gallo, VP at Microsoft, announcing the Express edition. We monitor the operating system for changes performed by your current MSI/EXE installer. The captured resources are then included in a new Advanced Installer project from which you can generate both an MSIX(APPX) and MSI/EXE package. Running an OS inside a virtual machine guarantees the best results. 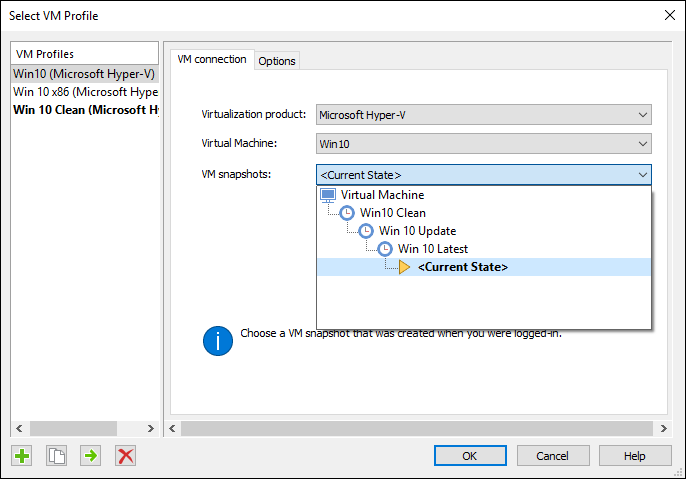 Advanced Installer can automatically launch a VM image, run the old installer, capture the changes, and send back the results to the host OS to be used for building the MSIX(APPX) package. You can also install and run Advanced Installer Express edition directly in the virtual machine and then copy your generated project and its resources on your development machine. No steep learning curve here. Get full control over the contents of your MSIX(APPX) package with a dedicated GUI. Customize it in minutes. Get your UWP and MSI packages built directly from your Visual Studio solution by using built-in integration with MSBuild for seamless, continuous integration. Debug your application running in a UWA context. Convert any installation, no matter if it installs silently or not. Generate a conversion project: reload, edit and rebuild your MSIX(APPX) package in seconds. Build MSIX(APPX) and MSI/EXE packages from the same project, continue serving your Windows 7 users. Built-in Visual Studio integration for debugging and build automation. You do not need the matching Docker image anymore; you can use any virtual machine. Hyper-V and VMware come with built-in management support. Detection of high-level constructs, like file type associations or firewall rules and mapping those entries accordingly in the AppXManifest file. It's all GUI based, so no more problems with discovering command line switches or typos. Your application can be launched with an argument (i.e., shortcut arguments). Your package can contain multiple applications. One-click digital signature support for sideloaded packages. For information about the Desktop Bridge visit Microsoft Dev Center. NOTE: At this moment, you can only try the new MSIX packages on machines running Windows 10 RS5 Insider Preview (build 17704 or newer).